Miguel has a fun weekend planned for Fourth of July. While promoting his latest album, Wildheart, the singer tells ABC Radio he’s honored to celebrate the festive day with a performance during this year’s Philly 4th of July Jam, a free concert event in Philadelphia, PA.
“It is [held] every year, so I’m honored to be invited again and we’re going to rock, its going to be good,” he adds. Miguel also revealed what he loves most about performing for his fans. “You get the most genuine response and I think that’s the most encouraging, you know, you can describe a lot of things with words but I don’t know how to give that feeling of being on stage and being able to interact and you know feel a crowd that like that is just a whole other level,” he says. Taking place at the Benjamin Franklin Parkway, the singer will be joined by country singer Jennifer Nettles during the upcoming event, dubbed the the largest free concert in America. The annual event will conclude with a fireworks display over the Philadelphia Museum of Art. 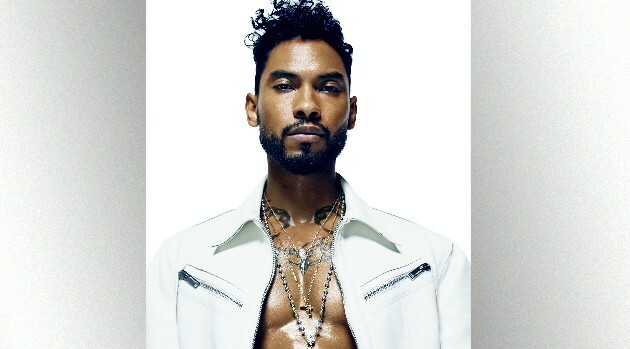 Miguel will have a couple weeks to recoup before beginning his very first headlining North American summer tour, kicking off July 24 in Austin, Texas, and wrapping up September 4 in his hometown of Los Angeles.